I know there are a lot of ofe nsala (white soup) lovers out there. Believe me, I'm one of them... I've realized that as long as you have all the basic ingredients, that they cook up quite well. Interestingly, this nsala soup is no exception. 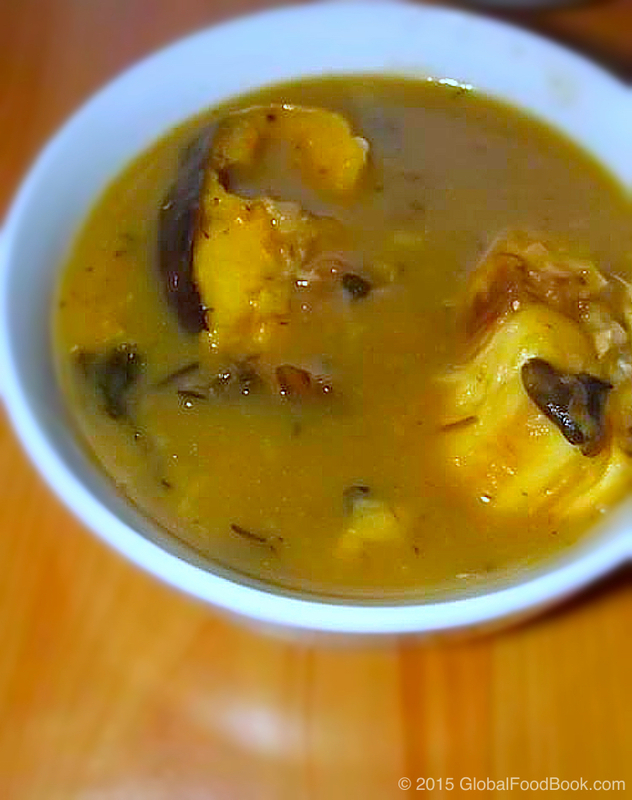 For this nsala soup, I used fresh catfish (azu ndu), stock fish (okporoko) and a bit of dried fish (azu okpoo). Because I used fresh fish, which doesn't take long to cook, I decided to pre-cook the stock fish and dried fish before adding in the catfish in the pot of soup. By doing so, I saved myself some time as well as the issue of getting the fresh fish overcooked. The seasoned stock fish and dried fish boiled up very well, nice and soft before adding them into the ofe nsala for some healthy, appetizing and delicious white soup. I thought the uziza and utazi flavor were quite mild so if that worries you, have no choice but to add the quantity to your taste. 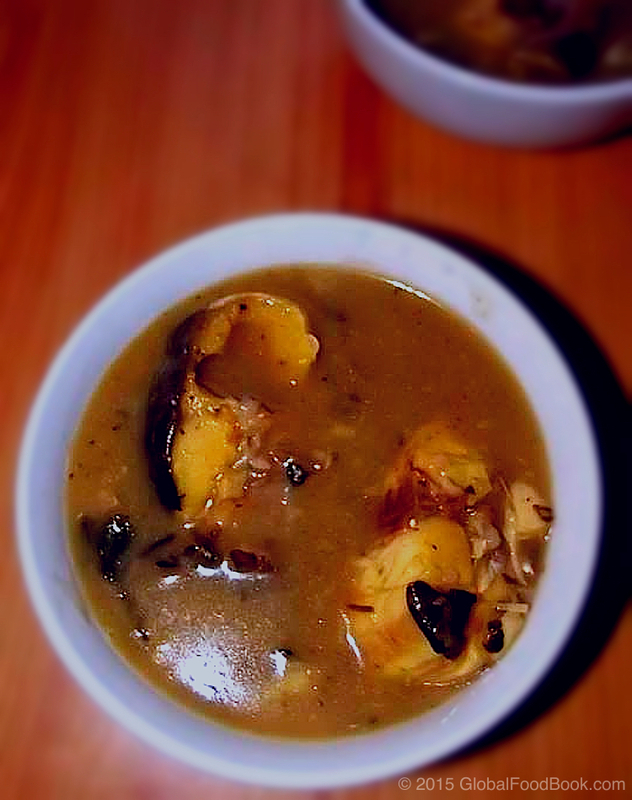 The combination of the blended yam for thickening with the assorted fish was a perfect combo because the blended yam thickened up the soup, thus resulting in a deliciously balanced soup. With few drops of vegetable oil added in as well with a little bit of chilli pepper, this nsala soup turned into a yummy and delicious way to eat up a bowl of pounded yam or fufu... Personally, I prefer eating nsala soup with pounded yam or fufu (nri akpu) to garri or eba however, you can choose your preference. Ofe nsala is a versatile African (Nigerian) dish and really can be prepared in just about the possible way you like. On the other hand, if you choose to cook the nsala soup with meat, try as much as possible to tenderly cook the meat before using for the soup preparation. This way, it makes it easier for the soup to cook faster and easier. Although meat can be used for nsala soup (white soup) preparation but I prefer using the catfish due to its special taste! Normally, I roundly cut the fish before pouring hot water over the fish and allowing it to sit in the hot water for at least 2 mins before washing it thoroughly. Well, this is how my mum taught me and she emphasized that soaking the fish in boiling water for few minutes helps to get rid of unwanted fish smell as well as harden the fish skin so it doesn't break into pieces during the soup preparation. Afterwards, wash the fish properly and remove any whitish stain on the fish skin before adding it in the pot to cook. Once the soup is cooked, bring down from heat and serve with pounded yam or fufu. Wash the stock fish with hot water and salt then season with stock cube and salt before cooking until tender. Wash the dried fish with hot water and add into the boiling stock. Roundly cut the fish, remove the intestines and add in a bowl. Pour boiling hot water over the fish to harden the catfish skin. Then wash the fish after 2 mins, ensuring to remove all dirt and any whitish stains on the fish skin. Rinse the catfish with cold water and add in the pot containing stock fish. Allow to cook then add cooked blended yam to thicken the soup. It is noteworthy that the amount of water to add in the soup has to be balanced with the amount of thickener and ingredients added. Also add grounded ogiri okpei, grounded uziza seeds, stock cube, pepper, vegetable oil and salt to taste. Add dry or fresh utazi leaves then cover pot and allow soup to cook properly until done. Bring down from heat and serve with pounded yam or fufu.